McNay Director Richard Aste. Photo courtesy of the McNay Museum of Art. 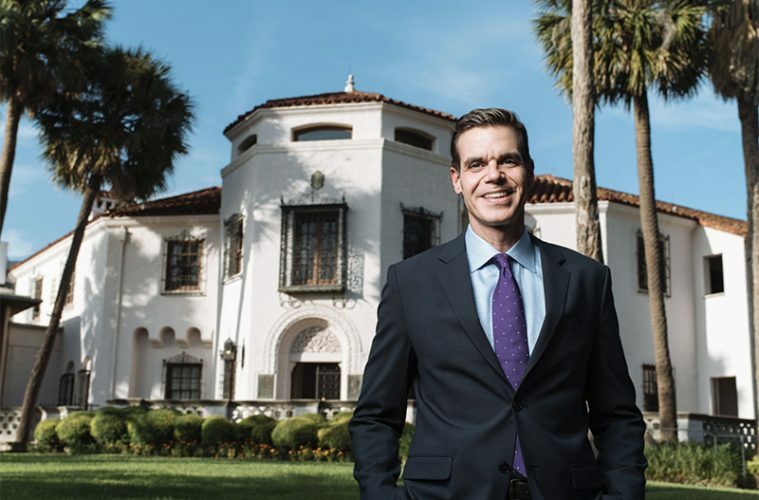 “I arrived with very big ideas,” Rich Aste says, as he surveys his first two years as Director of the McNay Art Museum in San Antonio. “The board hired me to open up the museum, making it even more inclusive, really integrating the museum into the city, (and) helping it become a part of, instead of apart from,” the communities it serves. The perception when he arrived, he was told, was that the museum was too exclusive, a bit too isolated from the city it served. Dario Robleto, Sundials, More Loyal to the Moon, 2016. 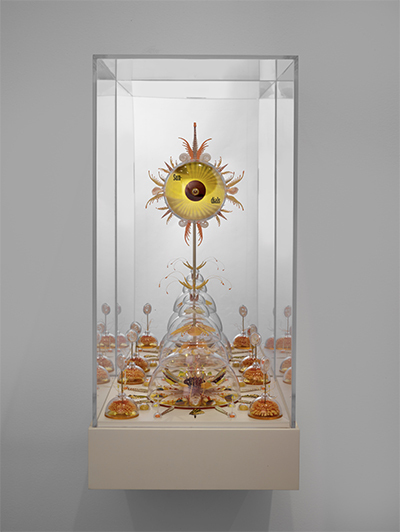 Various cut and polished seashells, urchin spines, white tusks, squilla claws, spirula shells, butterfly wings, cut paper, colored powder pigments, colored plastic beads and glitter, acrylic domes, print on paper, brass rod, colored and mirrored Plexiglas, glue, painted wood. Collection of the McNay Art Museum, Museum purchase with the Victor and Peggy Barton Creighton Charitable Trust, 2018.29. 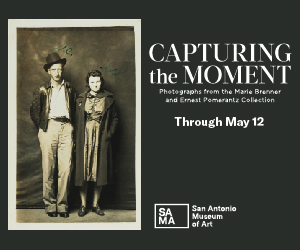 Trying to invite viewers to find themselves in the collection, Aste initiated a series of new acquisitions and a rehanging of the permanent collection, centering the histories and works of people of color and women, and strengthening the collection of artists from San Antonio. The museum acquired San Antonio native Dario Robleto’s sculpture Sundials, More Loyal to the Moon (2016) after his solo exhibition last year. The work combines Robleto’s longstanding scientific investigations and material interests with his insistence upon curiosity and empathy, qualities which are significant to the museum’s mission. Judy Baca, Absolutely Chicana, 2008. Screenprint. Alongside the changes to the museum’s education programs, the institution has also developed extensive exhibition programming to draw new audiences. 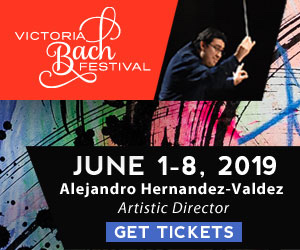 Under Aste’s direction, it has championed local artists. The 2017 Chuck Ramírez retrospective was the first time the McNay had dedicated a major show to an artist from San Antonio. “We are not only in the business of celebrating Picasso, Monet, and Gauguin, but also we have artists right here that deserve to be featured,” he says. Recent exhibitions of work by Mel Casas and Michael Menchaca sit alongside the reinstalled permanent collections, creating an organic flow between local and international conversations. 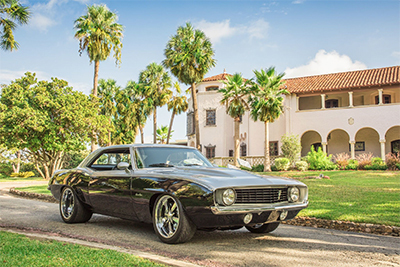 Chevrolet Camaro, 1969. Collection of Larry Mills. In the spring of 2018, the museum presented its first African American art exhibition in 65 years, Something to Say: 100 Years of African American Art, drawn from the Harriet and Harmon Kelley Collection. Paired with the 30 Americans: Rubell Family Collection from Miami, the response was resounding. 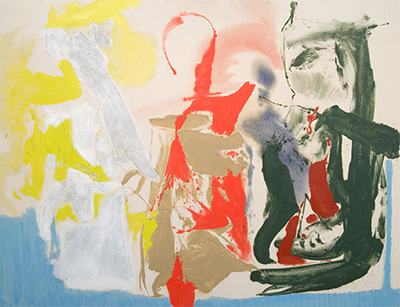 Aste is aware that commitment to community needs to be more than an occasional exhibition, and so the McNay has acquired works from many of these groundbreaking exhibitions, adding them into the permanent collection’s rotation and making them a part of the museum’s larger, art-historical narratives, literally changing the face of the Modernisms it presents. In the summer, the museum will host its first show on gender and identity as expressed through outward appearance. The exhibition, Trans America/n, thinks about how gender is a form of identity-making, and it marks the 50th anniversary of the Stonewall Riots. More immediately, Aste is looking forward to an upcoming exhibition of classic cars and postwar paintings. Called American Dreams, the exhibition pairs painting and cars, thinking about the U.S.’s dominance in both fields after World War II. The exhibition presents 10 classic cars as modern sculpture, reinforcing their connection with Abstract Expressionism and mid-century design. 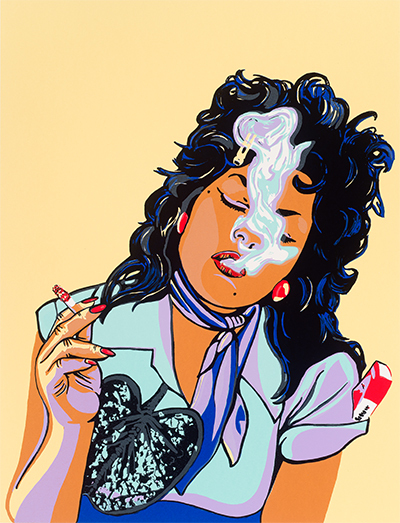 A simultaneous exhibition of Chicana printmaking, Estampas Chicanas, includes prints from a recent gift to the museum. Los Angeles-based artist, activist, and educator Judy Baca will be at the McNay in March to speak about her founding of the Social and Public Art Resource Center (SPARC) and her involvement with the feminist and Chicano movements. Museum purchase with the Ralph A. Anderson Jr. Memorial Fund, 2006.74. Aste speaks at a quick clip, clearly energized by the museum’s projects, its relationship to San Antonio, and his own exploration of the city, where he’s discovered a love of Mexican food balanced by a bicycling hobby. He and his partner climbed Enchanted Rock for the first time recently. “We navigated cedar fever beautifully, so now we’re officially Texans,” he laughs.